July 2015 – Higher Purpose. Higher calling. 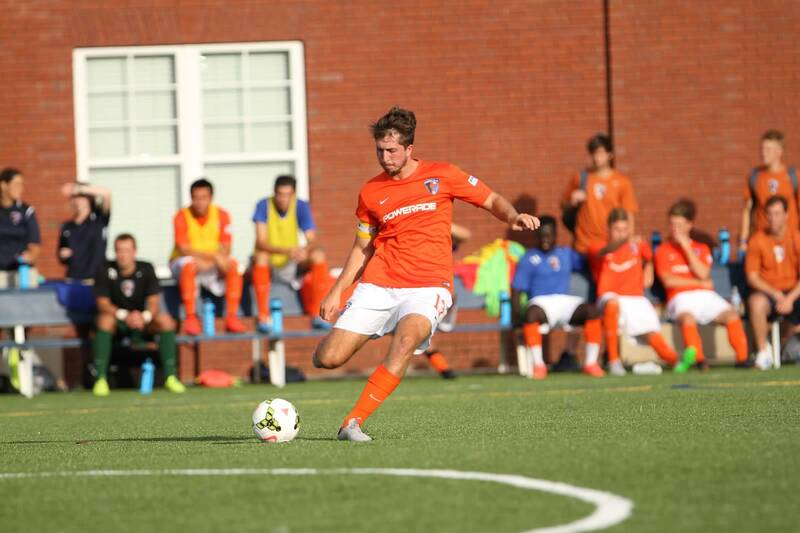 Scout playing a match with the Charlotte Eagles this summer. This summer has been a memorable one! 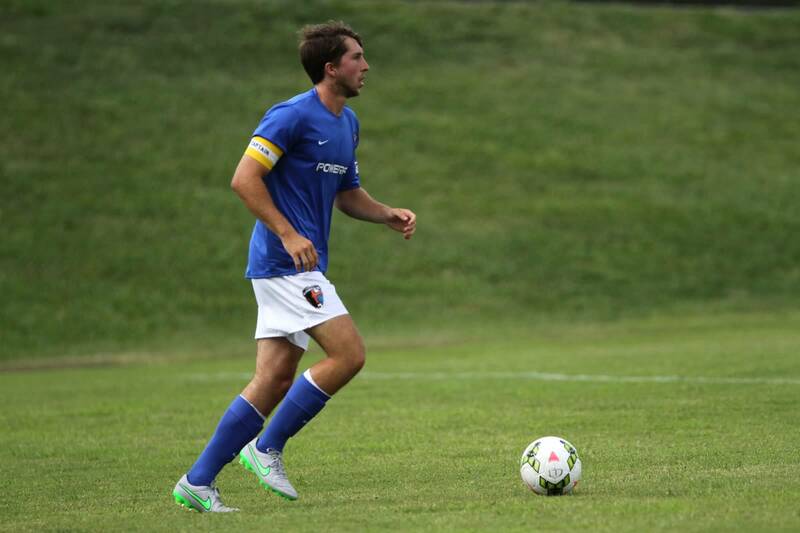 Playing with the Charlotte Eagles has been great! From a soccer standpoint, things have been good. I have been playing center back and a little bit of center mid. I got to captain the team the first bit of games this summer. However, the most unique thing I have experienced this summer is the camaraderie within our team. Everyone loves one another and is willing to put in their best efforts during every activity together. I love bringing all the guys from the team over to the lake at my house. We have a blast together! The most important lesson that has been implemented from the Charlotte staff is that we are to be Christians first and soccer players second. This is something I want to make sure is forever applied when I return to Lipscomb. We are constantly surrounded by soccer and often forget what our main purpose of playing is… As Christians and this is something that can never be forgotten; we are to represent Christ on and off the field. We have spent a lot of time in different communities in Charlotte, and it is important how we carry ourselves everywhere we go. I love my city and love this team. I am glad Sway, Cameron, and myself got to come down and play in Charlotte together! 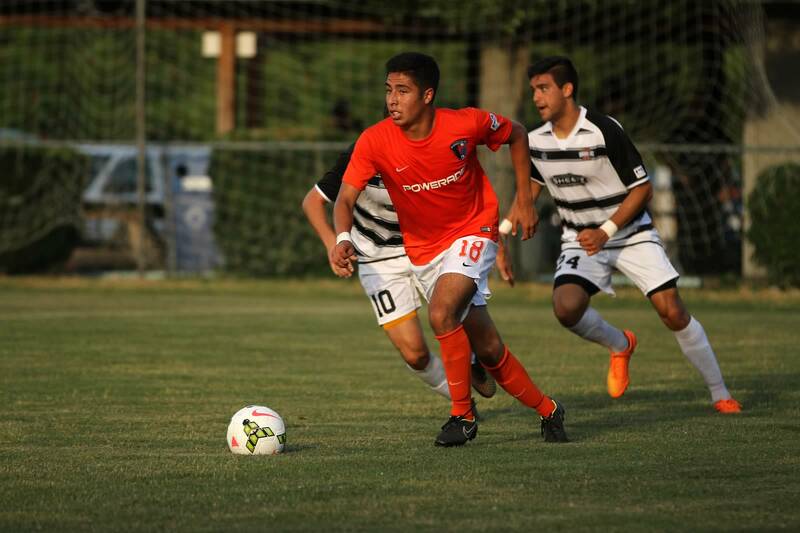 Josue “Sway” playing with the Charlotte Eagles. Josue is a rising senior for Lipscomb Men’s Soccer this year. 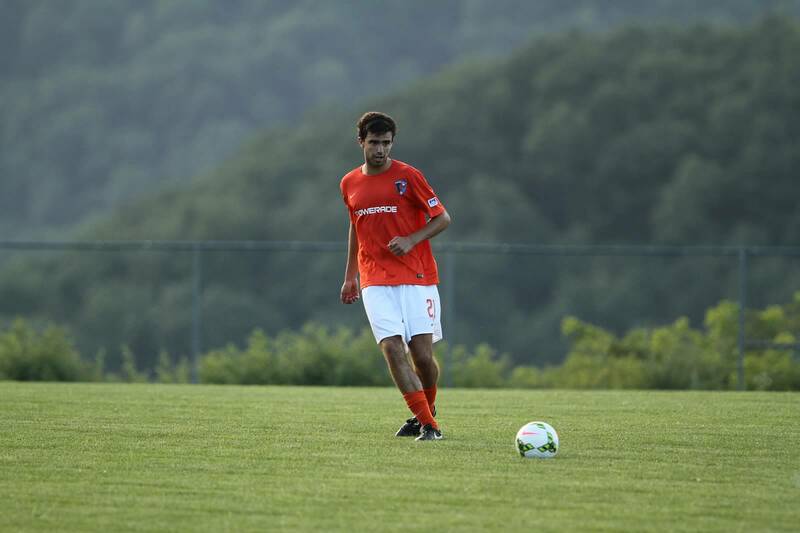 Cameron playing with the Charlotte Eagles. Cameron is a rising Red-shirt Sophomore for the Lipscomb Men’s Soccer Team this year. Scout leading the play, and the Charlotte Eagles as captain. Scout will be a Junior this fall with the Lipscomb Men’s Soccer Team. The Charlotte Eagles are a men’s premier development soccer franchise that competes in the USL Premier Development League of the USL. The USL PDL consists of 65 teams across the nation. The Charlotte Eagles were the 2015 PDL South Atlantic Champions this year, finishing in the top 8 of the 65 PDL teams in the country. I’ve always had the travel bug. My parents traveled the world for the first sixteen years of their marriage before settling down and having kids. So when Lipscomb provided me the opportunity to go to Europe, take six credit hours, make new friends, and get to travel to countries I have always dreamed about going to, it was hard to say no. London was the coolest city. I loved the attitude of the people and the chance to explore a city that never ran out of things to do. My favorite part of the trip, however, was the people I got to meet. I went into a foreign country knowing no one, and now I consider the girls I met some of my best friends. Whether it was doing our homework in hipster coffee shops, playing charades at night, or trying to figure out how to travel to another country as cheaply as possible, the bonds and laughs we shared were unforgettable, and I am excited to go back to Nashville with new friends outside of the soccer team. One of the weekends in Europe, I traveled to Amsterdam, Netherlands with five other girls. Although I could share a million stories from my time there, the absolute best day was when I took a bike tour throughout the city and go to live like a true local and hear the history of this amazing city. 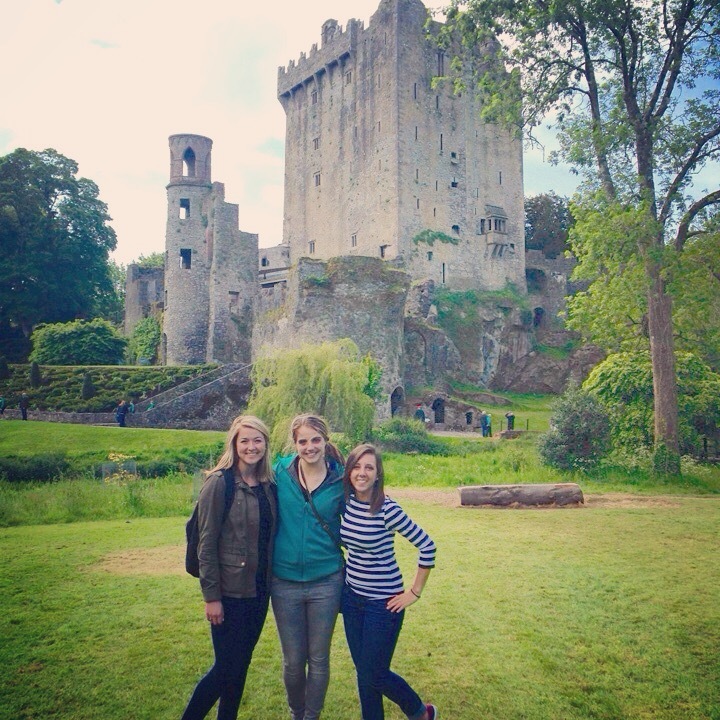 I also traveled to Ireland with two other girls where we took a full day tour of the countryside and saw the historic castles. 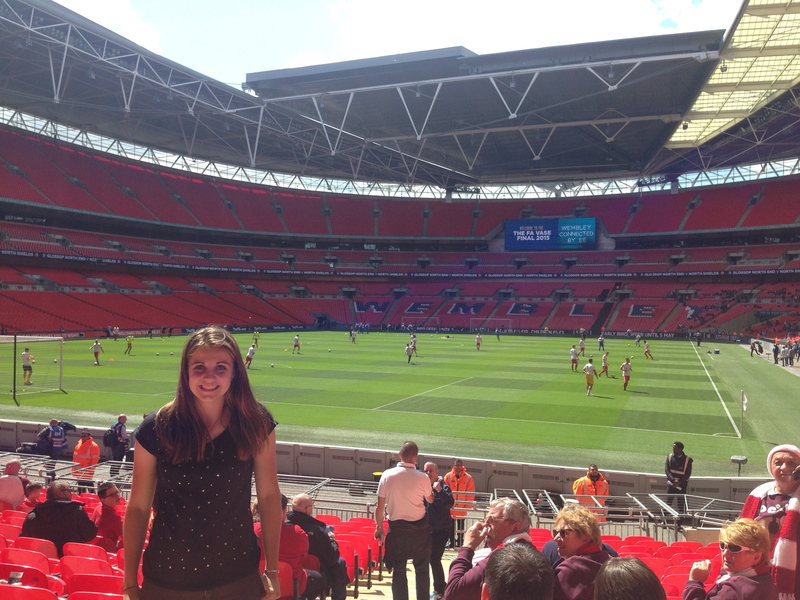 There was plenty to do in England as well, with my highlight of the trip being seeing a soccer game in Wembley Stadium. I could ramble on forever about the amazing experiences I was fortunate to have during my month in Europe. I encourage anyone who has the opportunity to travel abroad to do it because I came home more open-minded, more independent, and more willing to try new things. It’s amazing what you can see when you leave your little bubble of comfort. If I had to do it all over again, I would in a heartbeat and go to all the countries I have added to my list of must-sees before I die. After returning from Europe, my summer is busy. While I love traveling, love Nashville and Lipscomb; coming home is unbeatable. New Mexico is one of those places that you don’t realize how special it is until you go away. I frequently get asked what there is to do in Albuquerque, and while we may not have beaches, and driving to another state takes at least six hours, there is so much active fun to be had basically right in my backyard. Deemed one of the fittest cities in America, Albuquerque gives me so many opportunities to be active and to live in the moment. My typical summer day… I go from soccer practice with a New Mexico U18 girl’s team in the morning to adventuring with my friends in the afternoon and evening and of course trying to get in shape to pass our fitness tests come pre-season! Running trails from my house through the Bosque lead me right to the bank of the river, where I often sit and spend quality time with God. I recently hiked the famous La Luz trail with a group of friends-a nine-mile hike that climbs up the Sandia Mountains that stand an astonishing 10, 378 feet. 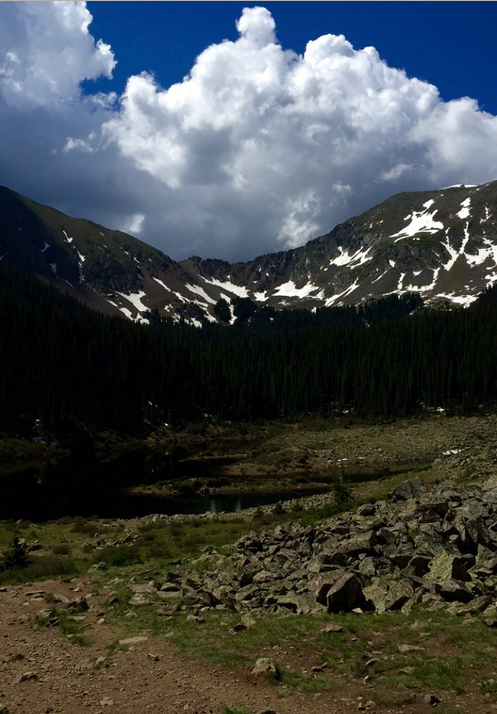 Two hours north of Albuquerque lies the quaint town of Taos where multiple trails lead you up to Wheeler Peak, the highest point in New Mexico at 13,000 feet. A photo from Taos where we hiked. An hour east of Albuquerque is the city of Santa Rosa, where cliff diving is the norm. 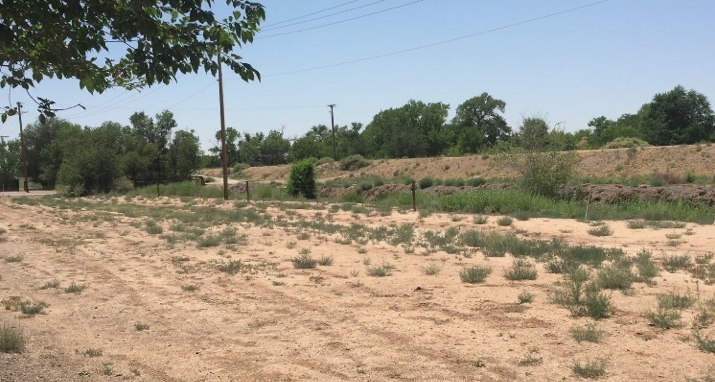 I live near the Rio Grande River, which runs right through the city. It may not be much of a river, but people are always kayaking or tubing down it. I love the active lifestyle and couldn’t imagine a better summer in my beautiful home state. The life of a student-athlete involves great discipline and schedule balancing. The summers are often thought to be filled with “rest and relaxation” but what does that look like for a Division 1 athlete? Not so typical here at Lipscomb. 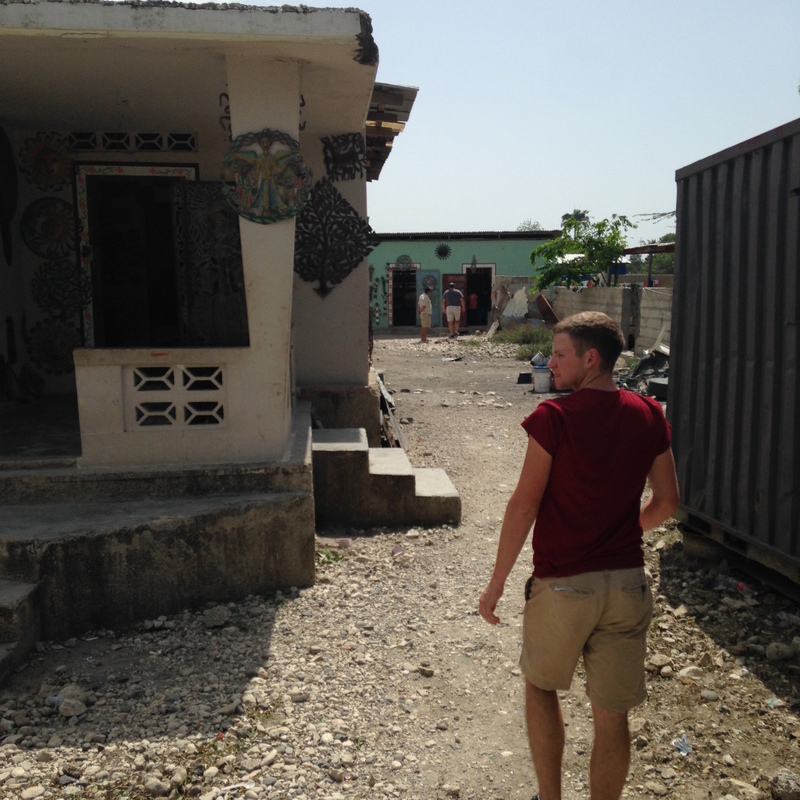 This summer Josh Enderle of men’s golf and Kayla Ostrom of Lipscomb volleyball decided to make the most of their summer break, and took a trip to Haiti and the Dominican Republic to visit and assist missionaries there on their first month off of school. Right after finals, Kayla (from Lipscomb Volleyball) and I went down to Haiti. It was a great experience. We went around to different spots in Haiti and the Dominican Republic to check on how the missionaries are doing. On the Haiti side, we saw a missionary located in Port-au-Prince that is running a school that teaches English and a discipleship program. We met with a couple of pastors to talk with them about the progress in the local churches. We also collected information on each one of the pastors to be able to post to the website and present to the board of Chadasha. 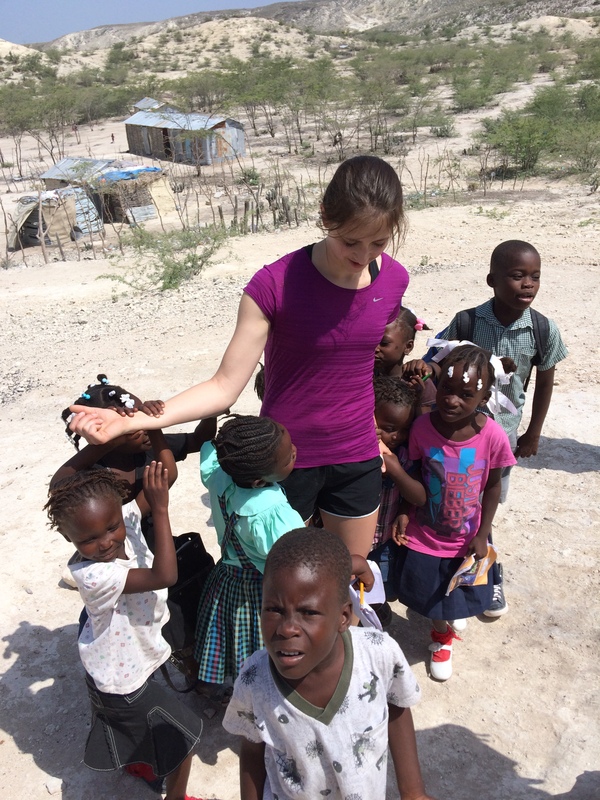 We saw a missionary in another part of Haiti who is running an orphan retreat center. He brings in orphans from different orphanages around Haiti for a time when they can get away and relax for a day. While we were with him, we went to see some of the local artisans. We are working with them to create products that we can ship to America. They are incredibly talented. They make objects out of sheet metal gathered from oil barrels. Kayla and I learned a lot about doing the administrative work for a charity. It wasn’t the exciting work that mission teams typically do. For example, we set up a bank account to support the mission initiatives. Working with a bank in a third world country is quite an experience. In the Dominican Republic, we talked with the people who run the orphanage on that side. The photo of Kayla is her with some of the kids from the Batey. The Batey has some of the poorest people in the Western hemisphere. 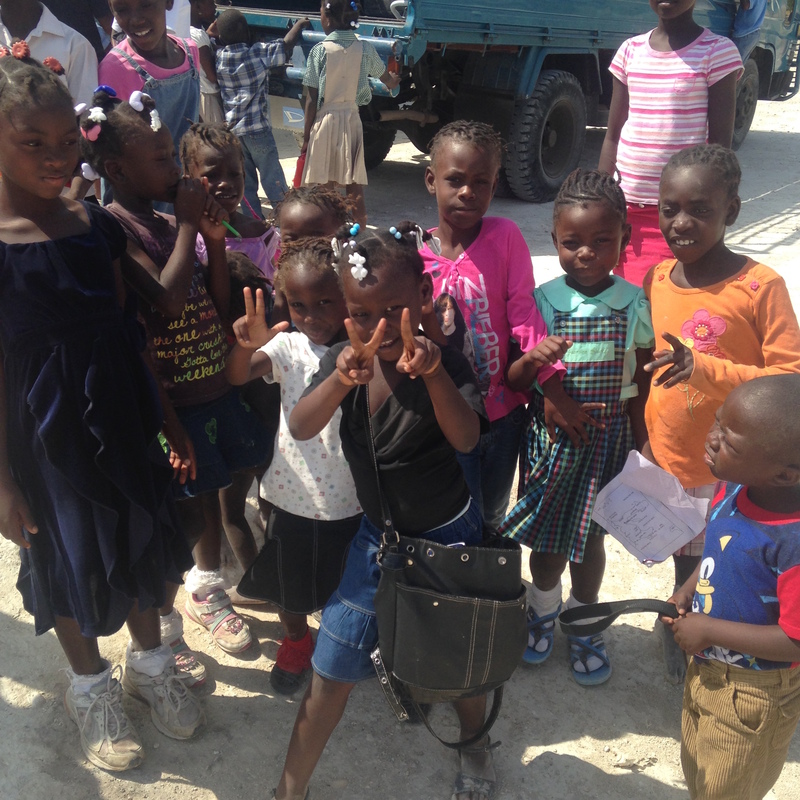 The charity we were working with created a school at the Batey and runs a feeding program for the children. When Kayla and I went there a year ago, many of the kids had red hair, which is a sign of malnutrition. This time, there were only one or two kids who have a twinge of red in their hair. It is encouraging to see the progress. Following the trip Josh returned to Knoxville to an accounting internship and practicing golf daily; Kayla returned to Nashville to work volleyball camps, train, and take some summer classes. These athletes are living out their #higherCalling for a #higherPurpose. When one thinks of “summer break” pool side sun bathing, swimming, playing and relaxing is often what comes to mind for most college students. 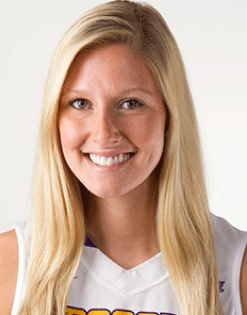 However, this summer- Chandler Cooper of the Lipscomb Women’s Basketball team has a very full schedule, and according to her, it’s quite IDEAL. “This summer is by far my busiest, most rewarding summer yet. Trying to balance 12 hours of class, an internship and training everyday makes for early mornings and late nights, but my favorite part of my schedule is being able to intern with the IDEAL Program. 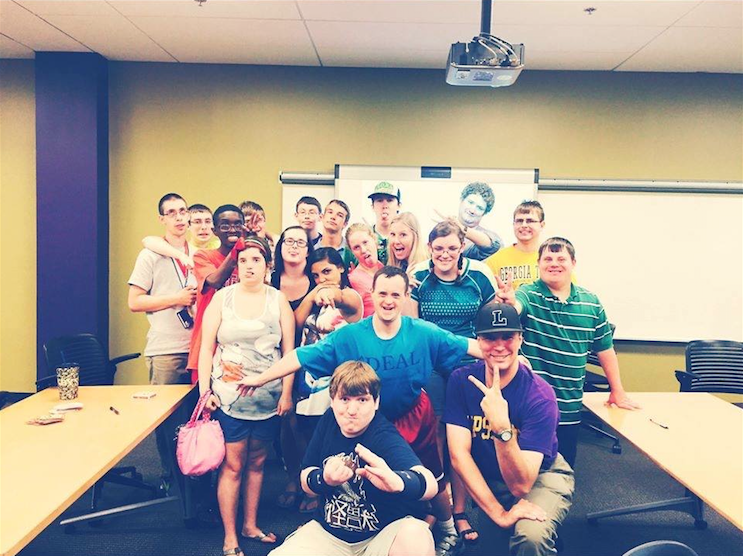 This program provides education and career development to students with intellectual and developmental disabilities. I have been with them since the beginning of May and plan to be with them until mid-August. I needed an internship in order to graduate and I would love to pursue a career in the disability field, so it was a perfect match! I am so glad I get to see the students once or twice a month at our get-togethers, and I am pumped for all the incoming and returning (19 students) to meet everyone else on campus in the Fall!